Arabic, Complete Edition is a unique multimedia course in Modern Standard Arabic that takes you from a beginner to an advanced level in one convenient package. 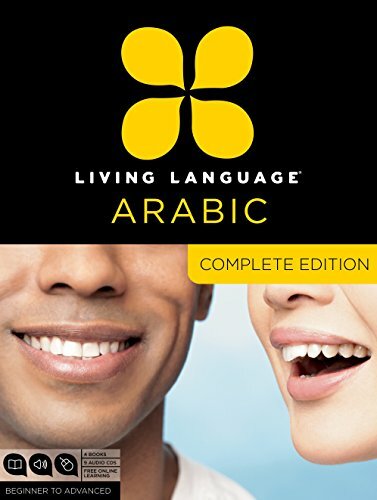 At the core of Arabic, Complete Edition is the Living Language Method™, based on linguistic science, proven techniques, and over 65 years of experience. Our method teaches you the whole language, so you can express yourself, not just recite memorized words or scripts. Millions have learned with Living Language®. Now it’s your turn. *Access to downloadable audio also available with purchase. To learn more visit livinglanguage.com. Start speaking Modern Standard Arabic immediately using essential words and phrases. Build on each lesson as you advance to full sentences, then actual conversations. Special recall exercises move your new language from short-term to long-term memory. Don’t just mimic or memorize. Develop practical language skills to speak in any situation. View More In Education & Teaching. If you have any questions about this product by Brand: Living Language, contact us by completing and submitting the form below. If you are looking for a specif part number, please include it with your message.